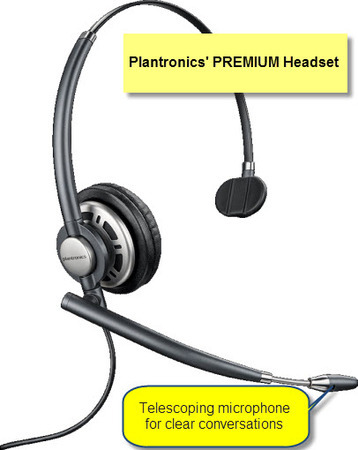 The NEW Plantronics HW710 EncorePro customer service headset. This headset is the replacement for Plantronics "top-of-the-line" HW291N headset. The HW710 is the highest performance headset for your highest performing employees. The Plantronics EncorePro HW710 headset delivers unprecedented style and performance to office and call centre professionals. Plantronics HW710 EncorePro headset has a single ear and headband that offers super comfort with superior audio clarity as well as sleek, polished looks.